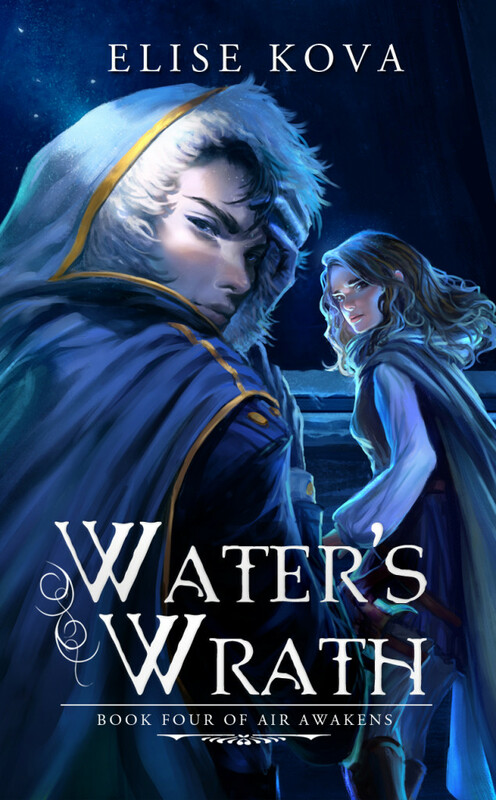 This sequel was unexpected in its intensity, especially toward the end, and it shows just how far Vhalla has come as not only a sorceress, but as a woman: brave, strong, and unrelenting. As this is a sequel, there may be spoilers. This book destroyed me. My emotions felt like they were just on a roller coaster that wouldn’t stick on a straight path most of the way through. Oh man. As far as the plot went, I really enjoy how it keeps advancing to a common goal and a main purpose of Vhalla having to fight for the crown and to hopefully win her freedom. Throughout the events that happen in this book, that never changed, but it was always met with one challenging opposition or another. I’m rooting for Aldrik and Vhalla, and to see their love grow and blossom, only to be torn down, hurts. Challenge after challenge got in their way, and even though they both fought for each other in their own ways to strive toward an end together, things became so rocky in the end that I could feel my heart pounding as I read it all unfolding before me. I found that there were secrets and many twists and turns in this novel. Vhalla is becoming a much stronger individual even in the face of death surrounding her. She doesn’t give up and she strives to protect the prince she loves. I think that although that is her primary driving force, she does so with so much passion that it’s hard not to root for her and to hopefully see her through to the end. She’s much more bold in the presence of the Emperor (whom I wouldn’t mind seeing NOT in a place of power, thanks), never backing down and asserting her intelligence among people who would otherwise belittle her. I thought that Vhalla was a force to be reckoned with in this book as we saw her use her magic many, many times than in the previous two books, and how far her training has brought her. She’s unafraid to hurt and kill if the need be, which is extremely useful in a solider. I loved being able to see her use her strength and power to her advantage because it really shows how far she’s grown from a meek library apprentice, to a stubborn, strong headed, Windwalker. Aldrik was also someone that I worried about at the beginning, but once he recovered from injuries at the beginning, I was glad to see his protective and loving nature over Vhalla come back right away. At times I thought he was too overprotective, much in the same way he was in the previous books, but I saw that his love came from somewhere deep inside of him and he wanted to express that. We also got to see more of his epic fire wielding skills as he fought alongside Vhalla and WOW, those two are incredible together. I thought that mentioning how they fight stronger and better together was an important aspect of the book, for sure, because they bounced off of each other so naturally. As for some of the other characters and side things going on, I thought that Daniel was a good constant companion, though I could see something brewing between them momentarily, Vhalla seemed to quickly shut it down. Elecia and Fritz are in this as much as I would have wanted, but still seeing their presence there, and the interactions they have with Vhalla, really comforted me that friendships weren’t just cast to the side in way of the romance. Speaking of the romance, OH MAN. Things got hot and heavy up in here and I was just like, “YES. FINALLY.” Yup, no shame. But let me just say: that ending, man. I am a ball of angry emotions because WHY CAN’T THEY CATCH A BREAK. WHY. I mean, I knew the Emperor would find some way to twist and turn everything around and make things miserable for them, but ARGH. I’m so mad. I mean, that’s not an entirely bad thing, but wow, so many emotions. I need the fourth book now, thanks. There were a few problems I did have with the novel, though, and they mainly had to do with the formatting of the book. I don’t know what happened, but on the Kindle it read weirdly and didn’t separate paragraphs at times or separated them in chunks. It was strange and distracted from reading because I oftentimes didn’t know who was speaking when sentences would run into each other in the same paragraph. Also, there were a lot of typos that I noticed, too, as with the other books. That became distracting, too, but I easily chugged forward. Other than that, I really enjoyed this sequel. It was heart pounding, action based, very romantic, and a whirlwind of emotions (see what I did there?). I’m definitely excited for the next book and I can’t wait to read it. Overall, I thought this was a solid sequel and I highly recommend it to anyone who’s read the first two novels. I rate this book 4.5/5 stars. This book was a fantastic sequel and it furthered the progression of Vhalla and how she has become the crown’s property. As this is the second book, this review may contain spoilers. In this book the plot became much more intricate not only in how the war itself would progress, but it also showed the progression of romance and love – of multiple kinds of love – as well as bloodshed, loss, and heartbreak. I had so many emotions reading this book from excitement to anger to sadness. Honestly, I think this was better than the first. Vhalla has become a bit stronger in this book physically and emotionally, learning not only from Aldrik, but also from Larel, Fritz, and others. She makes deep connections with Larel and a soldier, Daniel, who is from the East like she is, and I think that those relationships really helped to shape and mold her more as this book progressed. She relied heavily on Larel for emotional support, even when she felt ashamed for it, but I think that how Larel loved Vhalla unconditionally like a sister was so important and so beautiful. Not only that, but she learned more about her friends and who they are as people, and I think most important was that she learned a lot more about Aldrik and his past and thoughts. Though at times I was confused by her emotions, I understood the rawness of them in the moments that they happened: when she felt sad or heartbroken or confused or lost. It was hard for her to overcome a lot of those harder emotions, but when she did is when I think she shined the most. Also, when she trained she showed that not only is she definitely the Windwalker, but she’s also a solider and I know that’s definitely because of Aldrik. The Bond they have with one another really fuels Vhalla’s magic and I think that didn’t take away from her as a character, but enhances her because she didn’t understand magic and didn’t want to at one point, and now she’s able to draw from a very strong source. As time progressed through the book I really felt that Vhalla grew more as a character, slowly but surely. She understands her place in the world, even if she’s down about it a lot. I’m really interested to see where she is in the next book. Aldrik was ever an enigma at the beginning and such a toddler with his temper tantrums. I didn’t understand why he’d storm off sometimes or ignore Vhalla other times or be sweet to her even other times. No sense! But I think as he opened up more to Vhalla and we got to see more of his past that I understood why he was the way he was. I was very skeptical of his feelings toward her throughout large portions of this book because of that, but once a certain scene happened I was like, “Well, never mind then!” I think that his protectiveness over Vhalla didn’t come from a place of greed but rather from a place of love, and I think that that’s a strong attribute for him to have given his characteristics of a stoic, brooding, very-easy-to-piss-off self. I think that Aldrik really proved himself to Vhalla as someone who does care, but he also proved himself as a soldier and wielder of fire because wow, I really enjoyed reading about the magic powers in this one. As for the plot there was so much that happened from start to finish that I don’t even know where to begin! There was bloodshed, nightmares, backstory, romance, feelings, fighting – so much! I think that the story progressed in a natural way and it had me wanting to turn the page over and over again. We got more of a look into the political side of this world through dreams that Vhalla had, which I think were key parts to remember. Not only that, but there were also times where I was unsure of what would happen next. I think it was executed well. The romance! Oh man, the romance set my heart all pitter-pattering and I loved it. It was sweet and beautiful and it gave just enough to be enough, but to also want more. I think that this was handled greatly and that it was well worth the tension, for sure. I thought that there were going to be triangles forming, or quadrangles, or something, but I’m not entirely sure that they will. It honestly didn’t bother me too much because I saw the natural progression of it and the fact that no one really acted upon it. Oh! One thing I highly enjoyed when it came to any form of romance or something along those lines: there were consensual questions asked every time. No one forced anything upon anyone and I think that that was SO important in this book. Thank you, Elise Kova, for not forcing something upon a character because wow, I found myself loving that so much. There were so many feels and heartbreaking moments in this book in particular I almost cried at the end. I feel like I’m becoming more attached to these characters as I go and I need to know what happens next. I’m untrusting of the Emperor, I’m confused as to where I stand with Prince Bladair, and I want to see more of Daniel and Craig and Fritz, for sure. Even Elicia, who was a mystery for a lot of the book before we were told her identity. My only gripe with this book was that there were A LOT more typos than the last. I don’t get how so much was missed, but it didn’t really take away from the story; it was a minor distraction that I was able to quickly remedy in my mind to continue forward. Other than that, I highly enjoyed this book. Overall, I highly recommend this book if you’ve read the first. 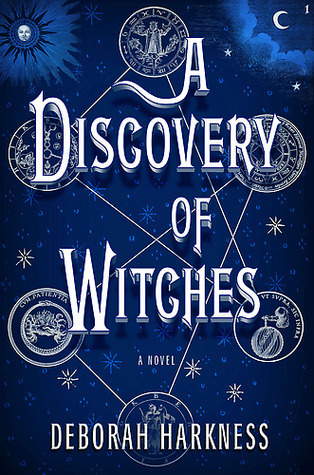 This book was a fun adventure of magic, acceptance, finding inner strength, and more. Once I started I felt compelled to keep reading, I was so drawn in to the story and the world through Vhalla’s eyes. 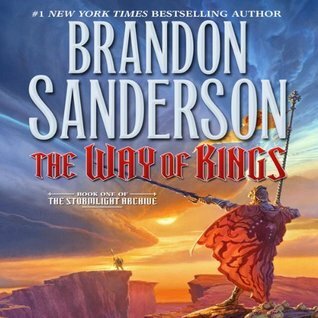 I felt that this story was one in which was gripping and it made me want to continue turning the page to find out what would happen next: from the society to the magic system, to the library apprentice and the dark prince, to the chaos of war and the fate that was laying before Vhalla, I wanted more. The plot itself was one that told of a girl named Vhalla who thought her life was little more than becoming an apprentice in the royal library when she one day helps to save the crown prince by searching for ways to rid poison from his body – which, in turn, causes her to be taken to the Tower where she is told that she has magic. In this world, to those whom magic doesn’t choose, magic is a very frightening thing and it causes those without magic to judge those that do. I thought that this was blatant in the story and that it was executed in a manner that showed that fear through multiple perspectives, and the obvious annoyance caused by that bias through others. The plot also lead to Vhalla growing to learn of her magic and her choices, of learning more about the dark prince and just what his role in her life would be to her, and what it could mean if she allows her magic to Awaken and manifest and grow. Vhalla was the kind of girl to think little of herself in terms of looks, and though I was annoyed with this at the beginning, it quickly went to the back burner because she so whole-heartedly focused her love and time on reading and books. She poured her heart into her work as a library apprentice, not only do the tasks assigned to her, but taking time to read the books she cleaned and fixed and more. I think that that passion really drove her in the beginning. She was otherwise one who tried to stay away from conflict and was very polite around others, but that didn’t stop her from speaking her mind when it came to talking to the crown prince, Aldrik. At first, he infuriated her, but as time passed and she came to understand him, that annoyance would turn to teasing and eventually genuine conversation and talk. I really enjoyed Vhalla’s character because even though she had up and down swings from being weak to outspoken to being unsure to being strong, I found that to be a relief, in a way. It showed that she is both flawed and capable of growth. Aldrik was mysterious in the beginning, showing his wit and temper at times, but as time progressed we got to see him become gentler and softer with Vhalla, talking to her as a friend would. I think that he has a difficult time with friendships because of his magical ability and how he is portrayed in the eyes of society as a heartless Fire Lord. But I found him to be a redeeming man, though he also admits to his faults. He was also very protective of Vhalla, and though that’s explained in the book, I still found it to be swoon worthy, in a way. Like many princes in many books he doesn’t show his emotions in certain situations, but subtle hints of what he’s thinking are communicated and I thought them to be affective. And GOOD GOD I WANTED THE ROMANCE SO BAD. Like, there were so many parts where I was just like, “They’re gonna kiss! They’re gonna kiss!” And then something happens to deter them from it and I got so upset. And then I would wait for the next time, and then the same thing happened! Ahh! But the relationship between Vhalla and Aldrik, though tense sometimes, was also raw and one that drew them to each other more than just because of circumstance, in my opinion. The side characters were also ones that I either liked or disliked for various reasons, but I still felt connected to them and that they played an important role in the story – that they weren’t just there for plot device or anything. I’m interested to see where some of them take place in the next book because things seem like they’re going to get interesting and I want to know if allegiances will stay or divide. The magic system in the world is based off of elemental magic with the four main elements of earth, air, water, and fire. Air is the most rare ability because the last Airwalker lived almost 150 years prior. The way that the magic is used seems to stem from the person’s self rather than the elements around them, which is the kind of magic I really enjoy. I hope to see more of it used in the next book because though it wasn’t used much in this book, we got glimpses of the power of Fire, for sure. Overall, I really enjoyed this book way more than I thought I was going to. It had me constantly turning the page and it kept me craving more. I rate this book 4.5/5 stars and highly recommend it.